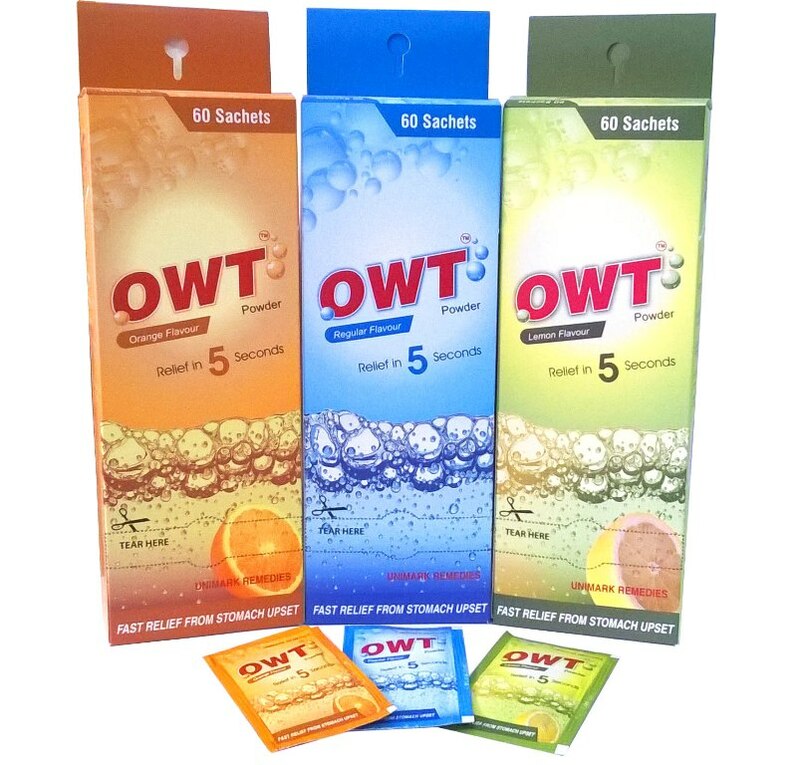 OWT Effervescent Powder – For relieving acidity. Provides effective relief from acidity in seconds. Presentation: 5 g sachets in a Dispenser of 60 Sachets.